The Rojava Revolution, which nowadays is a leading force of resistance in the Middle East, is progressing with significant and historical achievements in its struggle against all kinds of invading and terrorist structures in the territory of North Syria. The incomparable resistance of the YPG and YPJ forces was a decisive factor in this struggle. In the Afrin region, the successful actions of our forces continue to inflict heavy blows on the invader Turkish army and its mercenary allies. The invader Turkish state is targeting the forces who provide border security in Kobane, Girespi, Serekaniye, Dirbesiye and Qamishlo, as well as the civilian population of these regions, directly from across the border, committing all kinds of violations. 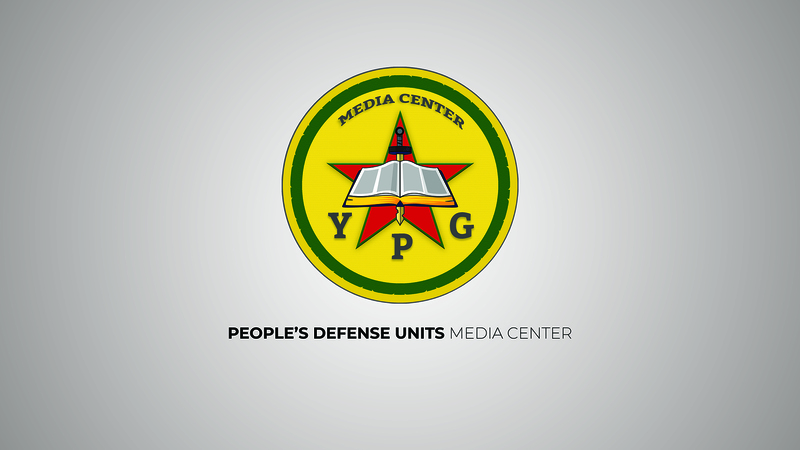 As the People’s Defense Units (YPG), we have responded in the most appropriate way to all these attacks. Our struggle against the ISIS terrorist organization continues by all means necessary. Our Anti-Terror Unions (Y.A.T.) and Special Operations Teams have carried out operations against the sleeper cells of ISIS and MIT (Turkish secret services), structures which remain in hiding throughout Rojava and Northern Syria. These operations were successful and as a result, many potential terrorist attacks were thwarted. - 8 military vehicles were destroyed. 2. During the month of October, the invader Turkish army has been continuously increasing its border violations. In particular, since October 28th, they have been carrying out intense artillery and mortar attacks against the Kobanê and Girespi regions, while in the areas of Serekaniye, Qamishlo and Dirbesiye, they have directly targeted civilians from across the border. As a result of these attacks, 2 fighters of the Self-Defense Forces (Erka Xweparastin) and a 6 years old girl named Sara Mustafa were martyred, while 1 Erka Xweparastin fighter and 4 civilians were wounded. Within the scope of legitimate self-defense, our forces responded immediately to these attacks. - In October, Y.A.T. carried out 5 special operations in the Jazeera region against the ISIS terrorist organization. As a result of these successful operations, the ISIS sleeper cells were neutralized. - The Special Operations Team has conducted 34 operations. - 90 ISIS members, including 3 foreign nationals, were captured alive in the operations. - Thanks to the operations, 13 terrorist attacks, including 3 planned by terrorist cells affiliated with the Turkish secret services (MIT), were foiled. -In the clashes that took place during these operations, one high commander of the Hamza Division mercenary faction was killed and, on another occasion, an ISIS terrorist was killed. - As a result of the operations, our forces have seized 20 AK-47 weapons, 1 pistol, a pair of binoculars, several magazines and a quantity of ammunition. 4. In October, 4 of our comrades were martyred during the Jazeera Storm Operation, while heroically fighting the ISIS terrorist organization. Additionally, 1 comrade was martyred as a result of a heart attack and 1 comrade as a result of an unfortunate accident.